Although the 12 Days of Christmas officially begin on Christmas Day, GIANTmicrobes will celebrate early to get winners their prizes in time for gift giving! From December 2-8, 2013 enter our 12 Days of Christmas giveaway. Then, each day from December 9-20, 2013, a winner will be chosen (one winner per day for 12 days). 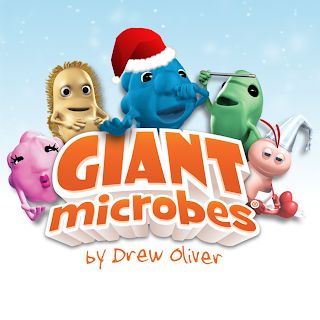 Winners will receive one of the GIANTmicrobes® featured in our special rendition of this Christmas classic.